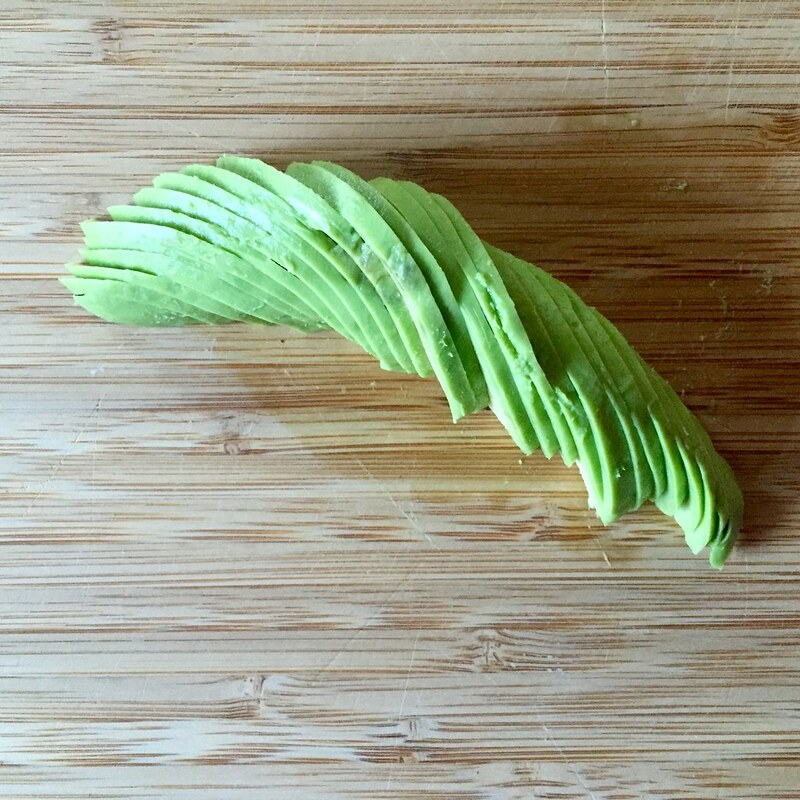 Usually when I get an avocado in my Boston Organics delivery, I just hope that I'll be able to figure out how to use it before it gets overripe. 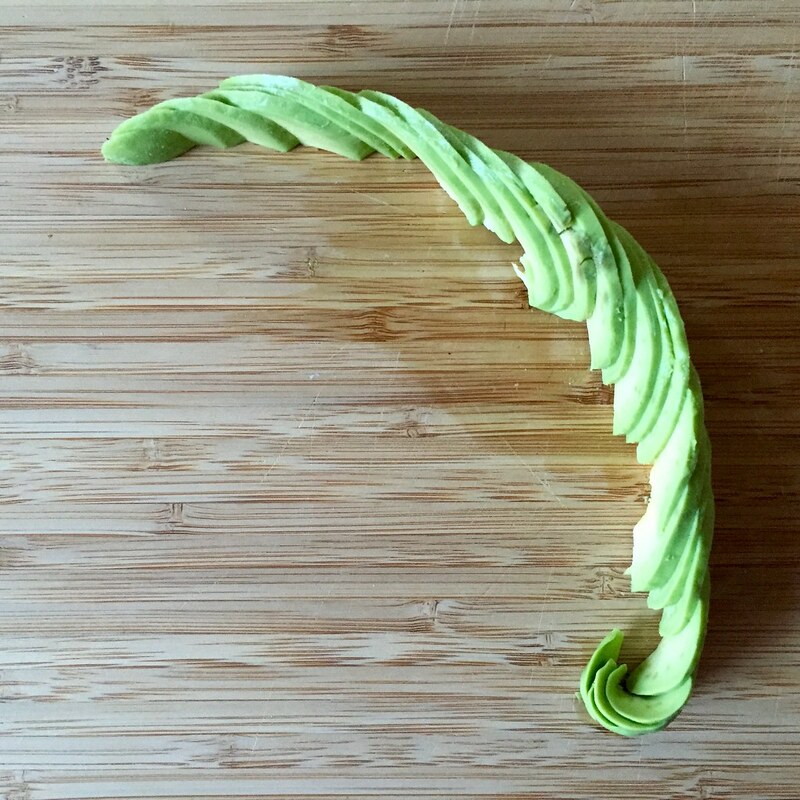 But this time I knew exactly what to do with it; I was going to attempt an avocado rose! 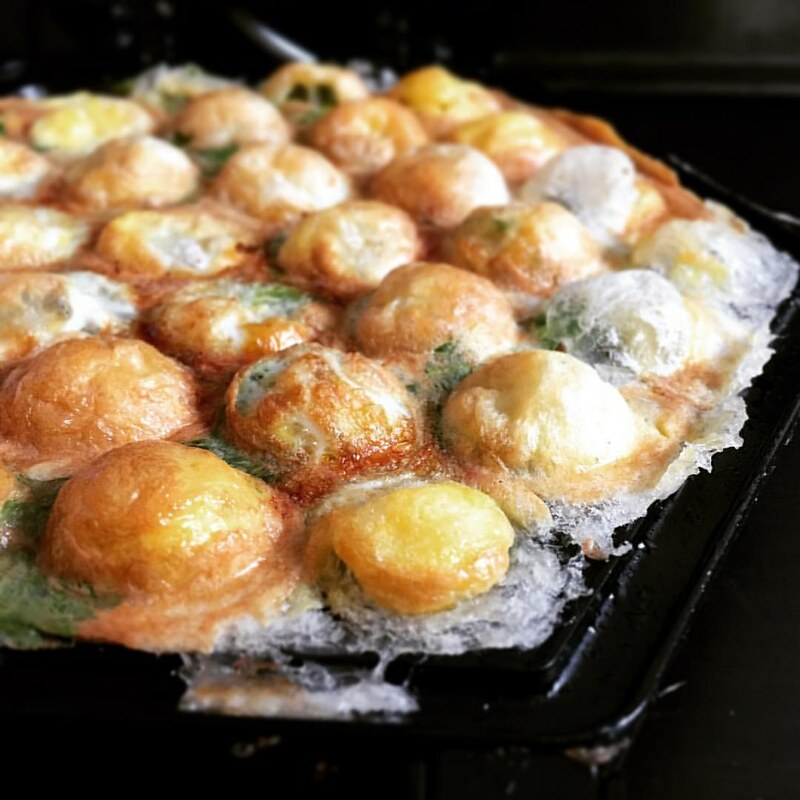 I had first discovered these a few weeks ago thanks to a post on Food52 on the trend taking over Instagram. 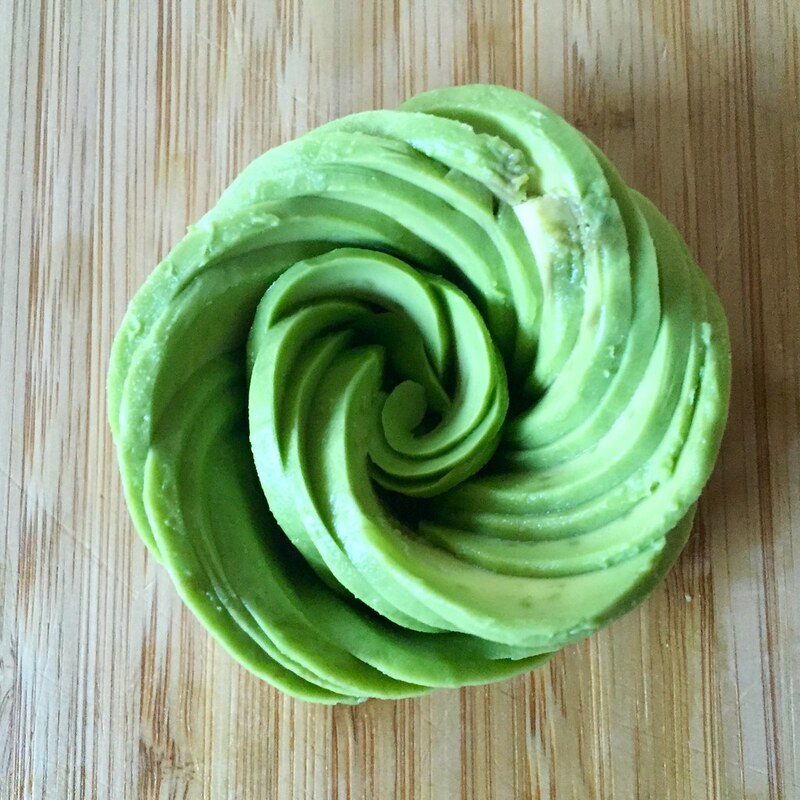 To make one, slice an avocado in half. 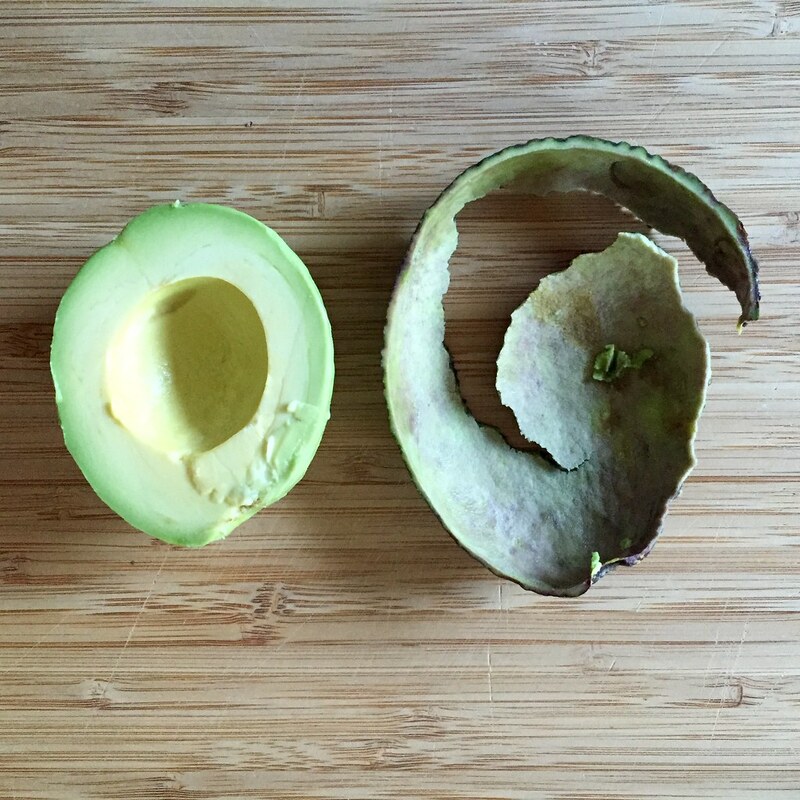 You want a ripe avocado, but not one that is so soft it'll be hard to manipulate without smushing. 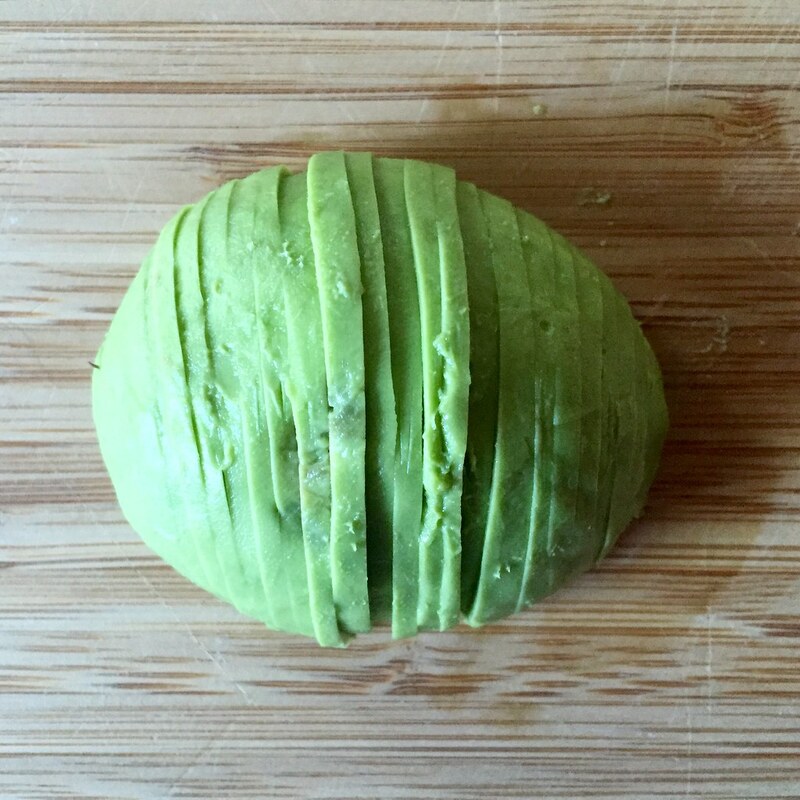 Place on half cut side down on a cutting board and slice the avocado thinly. 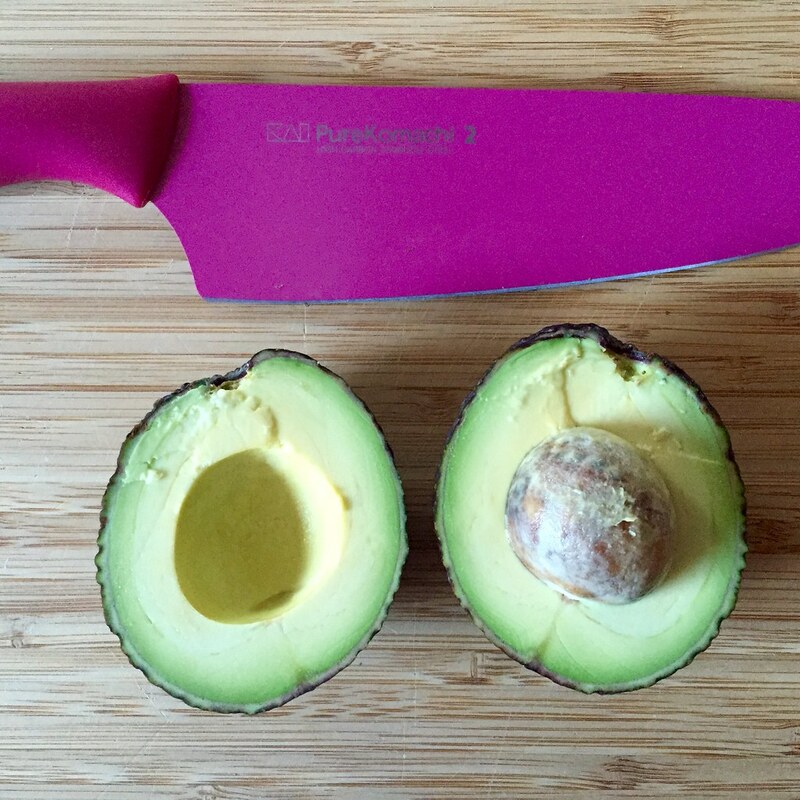 It helps to use a paring knife since it has less surface area to stick to the avocado than a chef's knife (which I found out the hard way). Start shifting the slices diagonally. Try to make as long of a chain as you can make without breaking it. Start curling in one end of the chain and continue rolling it in until you've made a rose! 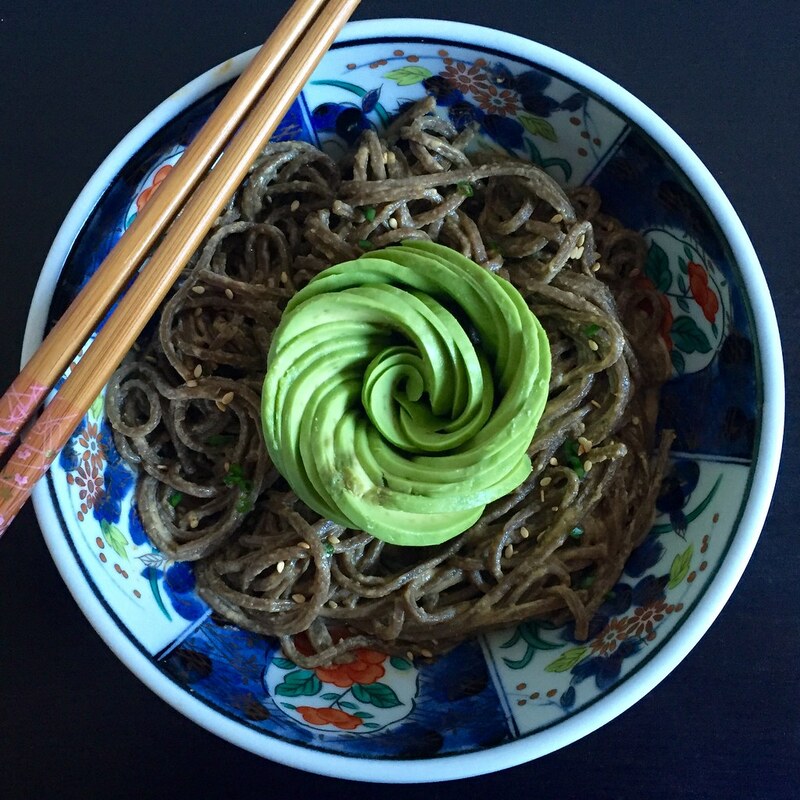 To have something to eat with the avocado, I tried making some sesame soba noodles based on my go to peanut butter noodle recipe but using tahini instead of peanut butter. 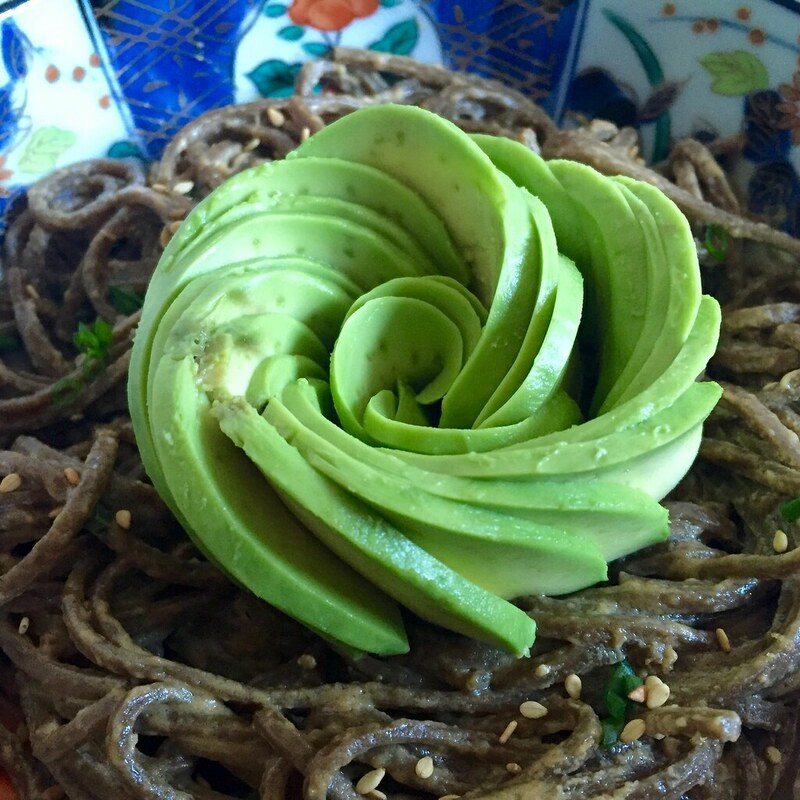 I really liked how the buttery avocado added a cool creaminess to the sesame noodles, so much so that I'd pair the two again even if I didn't have enough time to make an avocado rose! 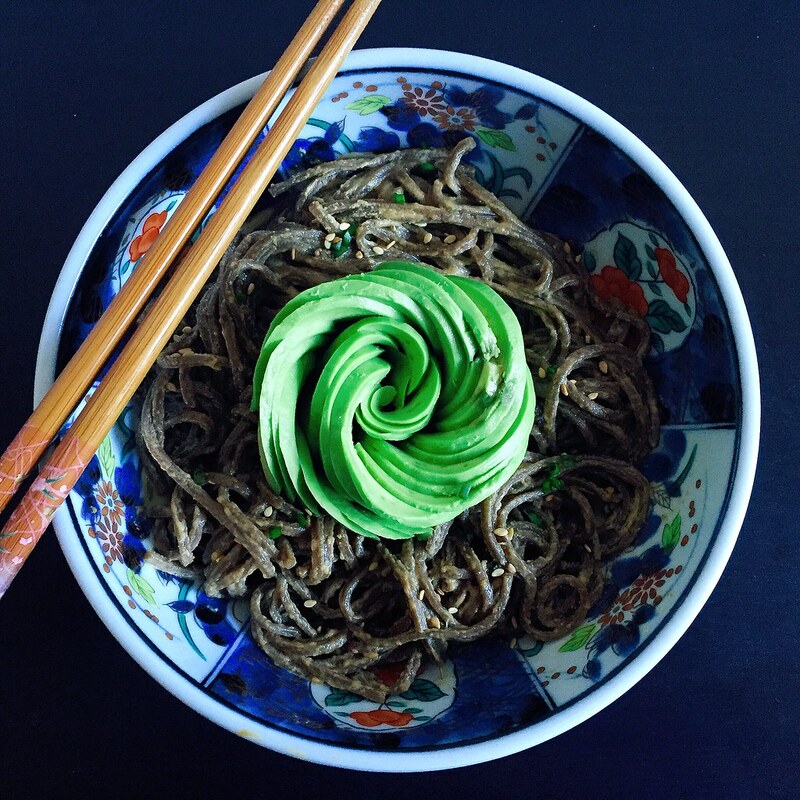 Bring a pot of salted water to boil and add the soba noodles. Cook until done. Drain in a colander and run under cold water so that the noodles don't stick to each other. 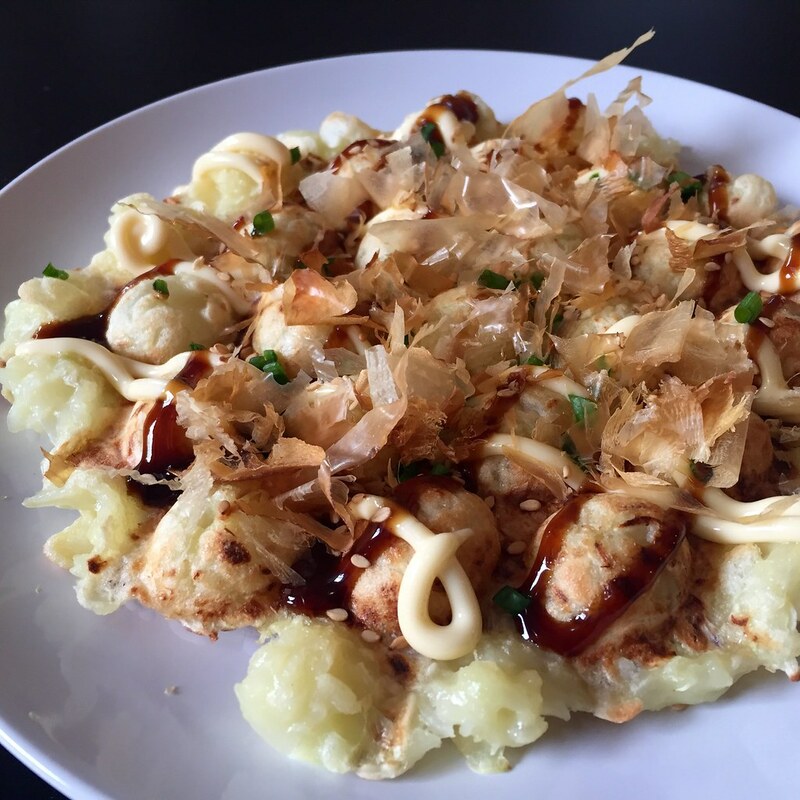 Mix the tahini, soy sauce, sesame oil, rice wine vinegar, and sugar until it forms a smooth paste. Toss with the noodles, adding water to thin, if desired. Serve with sliced avocado and garnish with sesame seeds and chopped scallions, if desired. I was so excited when I received an electric bubble waffle maker from my brother and sister-in-law for my birthday last year. 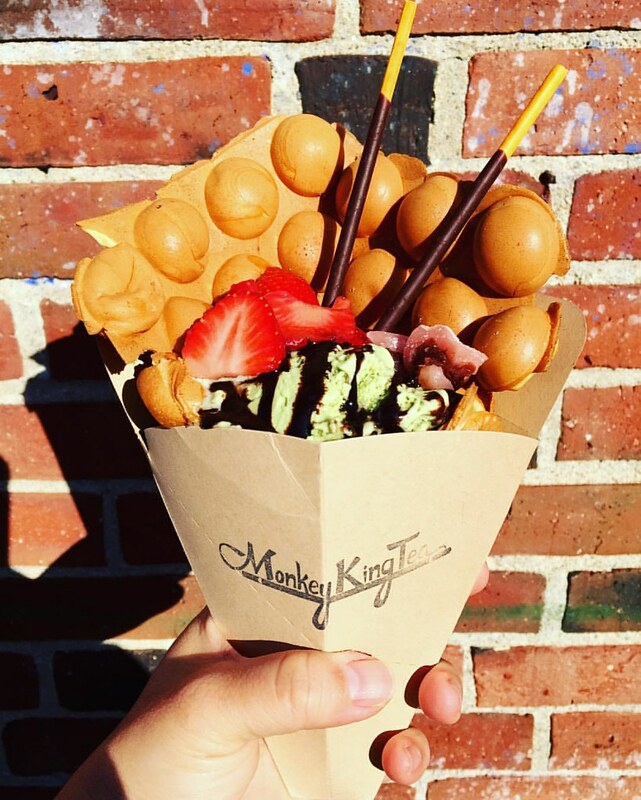 I had visions of making the eggettes I used to get from NYC's Chinatown and SF's Genki and maybe even making a puffle cone a la Cauldron Ice Cream or Monkey King Tea (below). But after trying the recipes I found on-line for eggettes and puffle cones (basically the same recipe) I'm still not satisfied with the results. I even played around a little with the ingredients but nothing I made recreated the aroma, texture, or taste I was looking for. Not to be deterred, I decided to experiment with some other batter-based foods I had made before. First up was pão de queijo (Brazilian cheese bread). 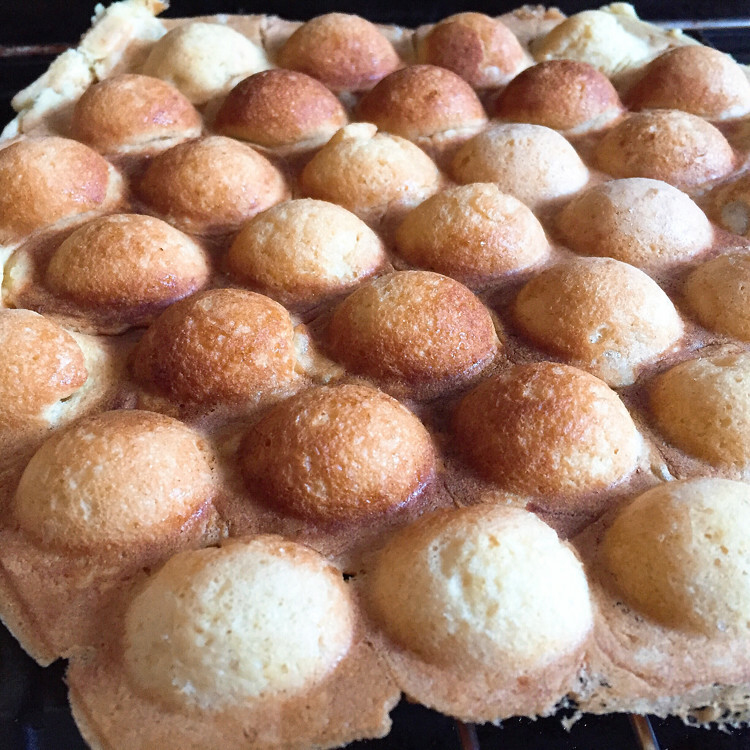 Since some of the eggette recipes used a little tapioca flour, I figured it would be fun to try an entirely tapioca flour based batter in the bubble waffle maker. The results were incredible! 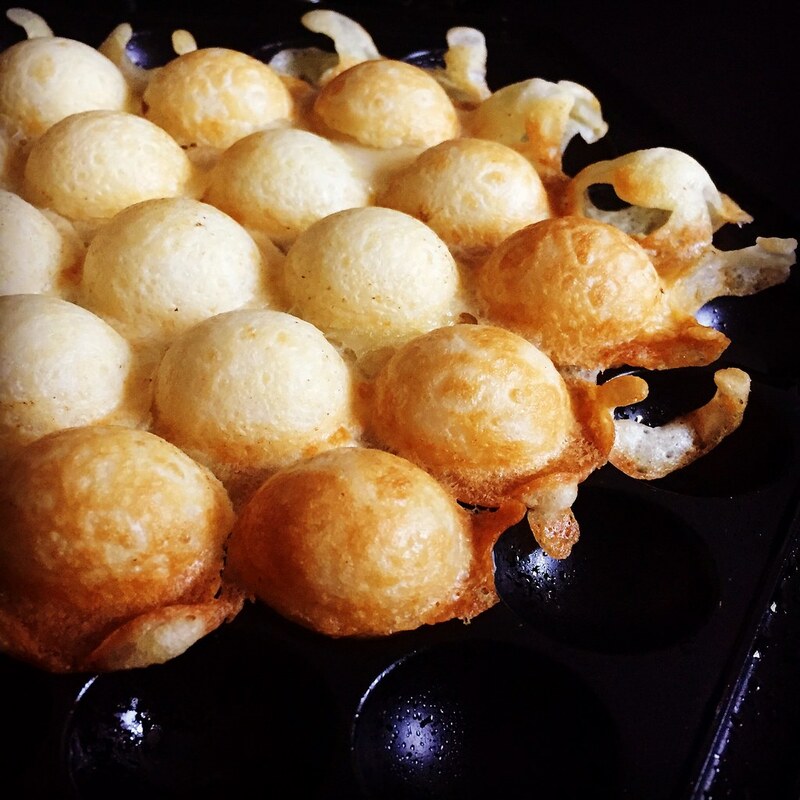 The bubble waffle maker was able to encapsulate the chewy, airy bread in a crispy crust in a fraction of the time it takes to bake the pão in the oven. And it's sooooo cute! I also tried Korean pajeon (above) and Japanese okonomiyaki (below), and the results were decent, but not really worth writing about. 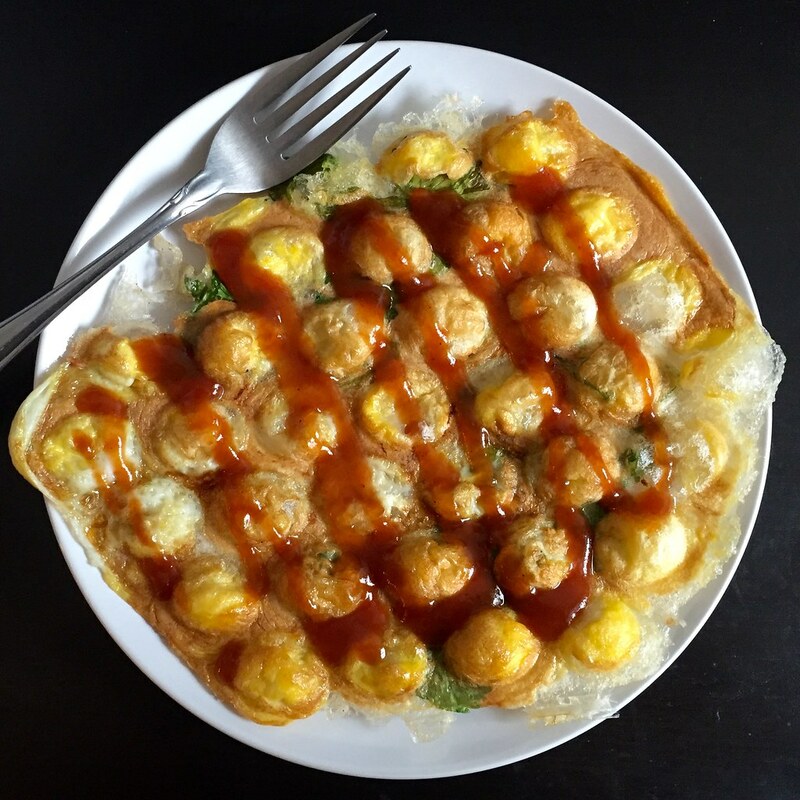 Probably my favorite use of the bubble waffle maker has to be the Taiwanese oyster omelette. Since I remember the sweet potato starch batter to be super sticky, I added a half tablespoon of oil to the batter itself and made sure to oil the waffle iron well before adding the batter. And even though I took those precautions, I was still surprised when the omelette came out rather easily from the iron. As with the pão de queijo, I loved how the outside of the batter got super crispy but still stayed moist inside. And the shape of the bubble waffle maker gave it a lot more nooks and crannies for an even higher crispy to chewy ratio! 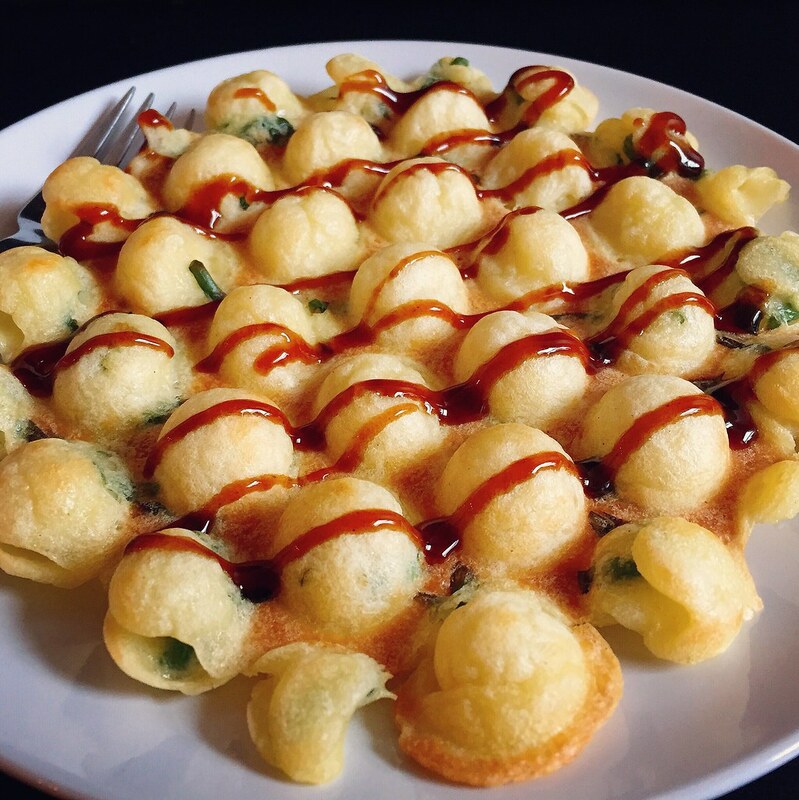 So does anyone else have a good eggette recipe or recommendation for what to try next in the bubble waffle maker?